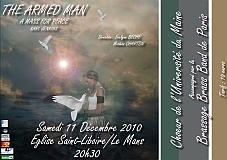 The CD is brought out. 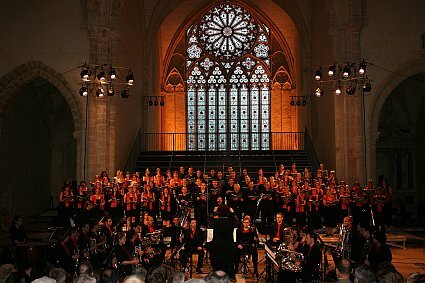 Excerpt of the Sanctus of the Mass of the Armed Mans by Karl Jenkins (concert of the 30th May 2010, basilica Sainte Clotilde, Paris, France). 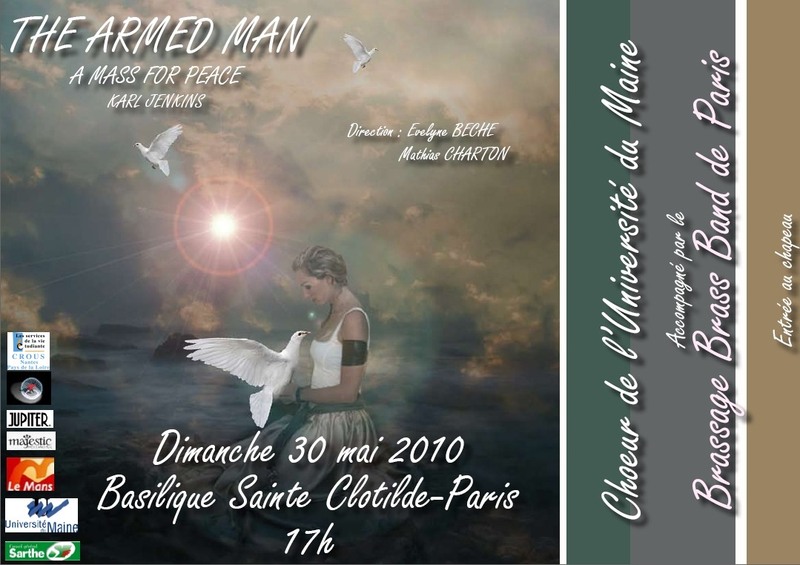 Very popular secular song from the time of Renaissance, and often used since then for musical settings of the latin texts of the Ordinary of the Mass, "The Armed Man" ("L'Homme armé" in french) is a french song which gave its name to over 40 Masses. 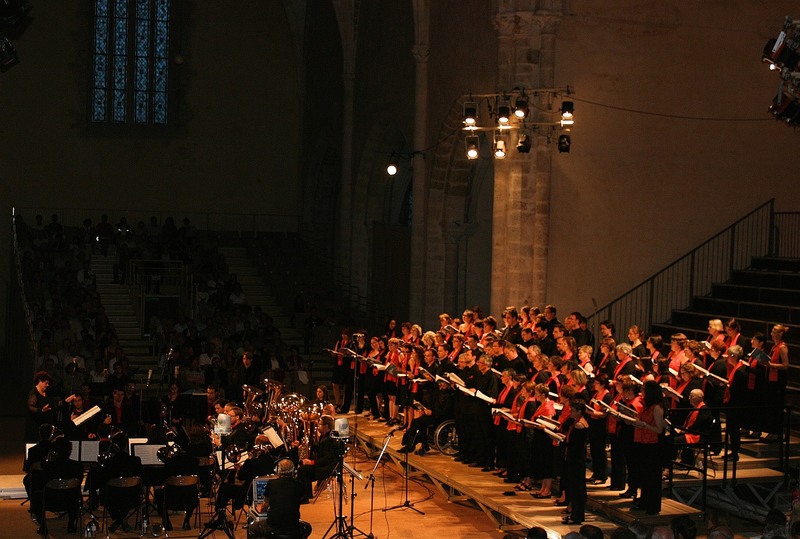 The mass of the Welsh composer Karl Jenkins (1944- ...), "The Armed Man: A Mass for Peace", was composed in 1999, as the result of a special millennial commission from the Royal Armouries, and was initially dedicated to the victims of the Kosovo crisis. 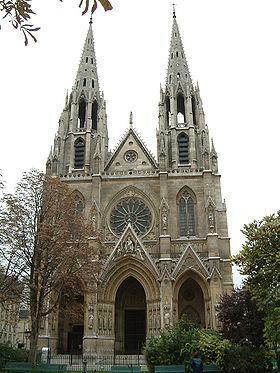 ainsi texts by Rudyard Kipling, Alfred Lord Tennyson or a survivor of Hiroshima. Born from the meeting between Evelyne Béché, choirmaster of the Choir of the University of Maine, and Mathias Charton, conductor of the brass orchestra Brassage Brass Band, the respective groups of which were working independently of the Armed Man Mass by Karl Jenkins, independently the Mass of the Armed Man by Karl Jenkins, the concert brought together 90 singers of Sarthe and 31 musicians of Paris. 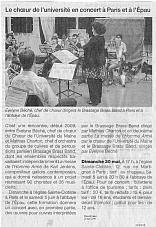 Article Ouest-France: announcement of the concert Article Ouest-France : "The Mass of the Armed Man has make Epau thrilled. 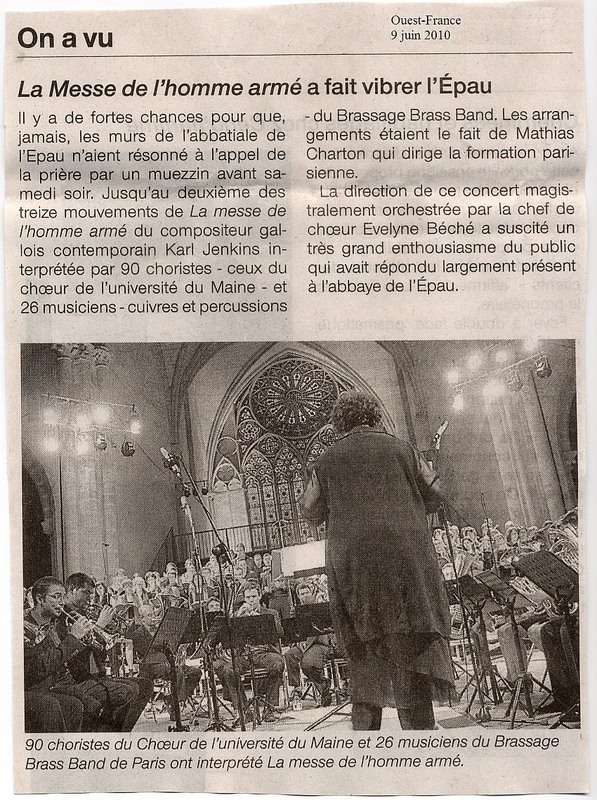 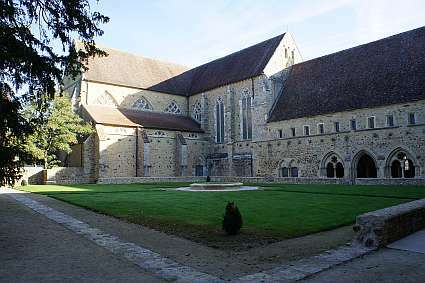 (...) The conducting of this concert, masterfully orchestrated by the conductor Evelyne Béché has generated considerable enthusiasm of the audience who was widely present at the Abbey of Epau". 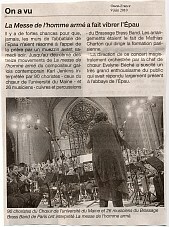 See also the webpage of a spectator of the concert here. The Choir of the University of Maine and the Brassage Brad Band, conducted by Evelyne Béché, at the basilica Sainte Clotilde (Paris, France), 30th May 2010. 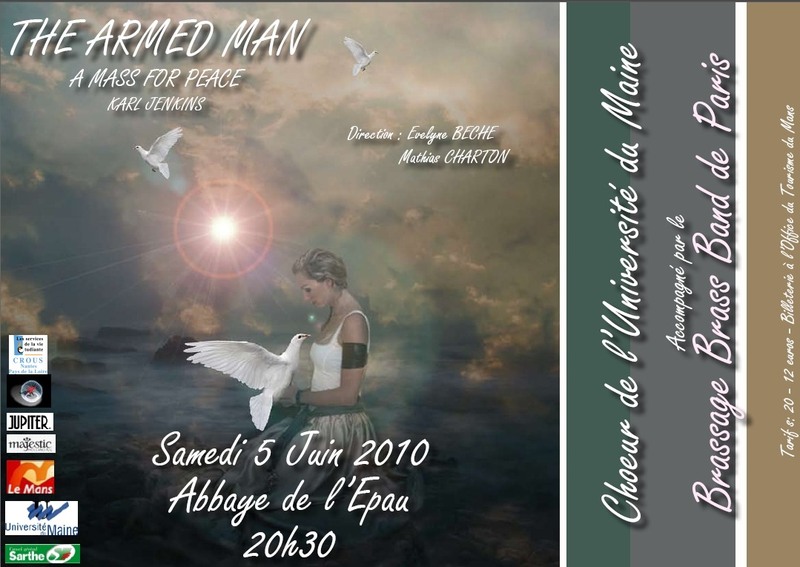 Mass of the Armed Man (K. Jenkins), arrangement for brass and percussion section by Mathias Charton. News Workshop for malechoir. 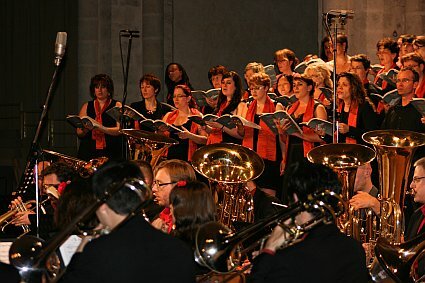 Women choir workshop. Course of musical training (singing music theory). 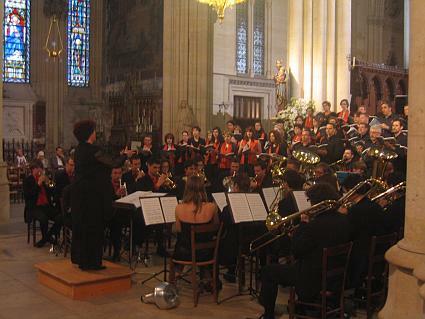 Choral conducting courses. The choirmaster Her CV with videos Children choir "Les Cagou's". .
Back to home page Workshop of choral singing in July. Excerpts of concerts.